Our bikes are always tuned to perfection, and adjusted specifically for you by our partners. For Trigiro is very important the quality and comfort during the tours. Pedaling through the countryside will connect you with the nature and your senses will fully engaged in the experience. The sounds and smells of the environment, the taste of local wines and specialties and the connection with local people and its culture lead you to memories that last a lifetime. But this is only possible with the perfect bike. Ride with the Black Forest 27R bike in our tours through vineyards, coast roads and mountain trails. You won’t find better performance or more responsive handling at this point, thanks to the superior aluminum frame of the Black Forest 27R. Enjoy the advantages of the 27.5″ wheelsize with its enhanced handling and terrain-conquering ability. 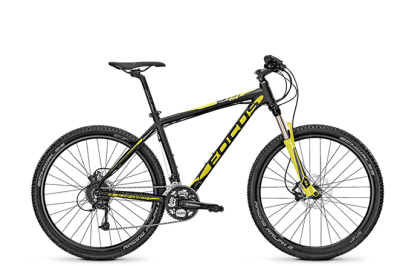 The Black Forest it’s the perfect choice for sport and recreational riders that want the perfect blend of quickness, lightweight and control on the trail. Significantly lower bike and rotational wheel weight helps you climb faster with less effort.